Violence in the workplace is an important safety and health issue, one that is too often overlooked or ignored. In many cases, a violent incident can be avoided, because occurrences are often preceded by warning signs. Employers do not have to wait until something happens before responding—the optimal time to address workplace violence is now, before any incidents have occurred. 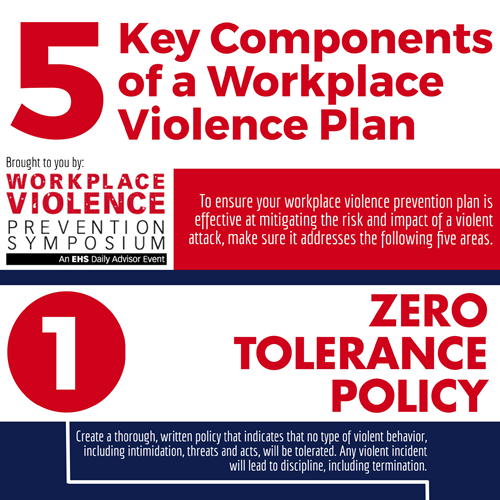 This infographic reviews the 5 key components of a workplace violence plan.